The Chinese received some hard lessons in the latter half of the 19th century. Manchu conquerors, Western intervention, European diplomacy, Japanese Manifest Destiny, booming population, the biggest civil war on the planet, the governmental attempt to discredit martial arts, the outlawing of the arts, the rise of secret societies, a rash of famines, Western scientific and medical supremacy, missionary pressure. They also encountered Western fighting skills. 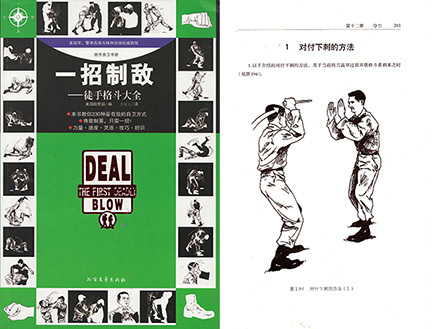 Here are three examples of the Chinese adopting Western fighting systems. 1.���� A book on western wrestling technique, one of the first translated into Chinese. 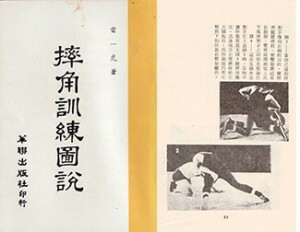 The pictures are dark but it�s easy to recognize this as a standard wrestling text and probably a decent one at that. 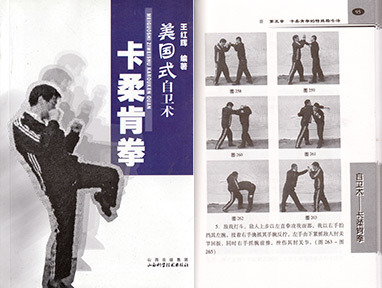 2.���� A book on �American� fighting style by� someone who obviously dedicated himself to doing it our way. It even has (gasp! )� weight lifting photos. 3.���� An U.S. army combat training manual. We�re not sure but we might have this in English in our library. It is entitled in Chinese as a One Blow Kill type of text. If you are interested we have a few (about 5) extra copies of Book #1 and will send you a copy for FREE if you are among the first five people to request it. Just click HERE to send us an email. Posted November 15, 2011 by Plum Staff. Comments and trackbacks are open. Follow the comments feed. Tagged with: Boxing, kung fu, wrestling.